Turmeric is a native Indian spice with a long list of benefits, including its powerful anti-inflammatory response, which can aid allergy symptoms. Turmeric helps reduce inflammation and allows the blood and oxygen to flow more freely throughout the body. Use organic ground turmeric by adding it to many foods – including roast veggies, soups, salads, grain dishes, and curry of course. Add a nub of the fresh root to your green juice or smoothie. 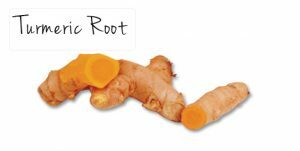 The flavor is subtle, but the anti-inflammatory benefits are richer than with the ground turmeric because it is less processed so retains its medicinal properties. Foe more tips on how to use turmeric – go to my website and use the SEARCH engine.